The 2015 Princeton TruckFest is Saturday, April 25. 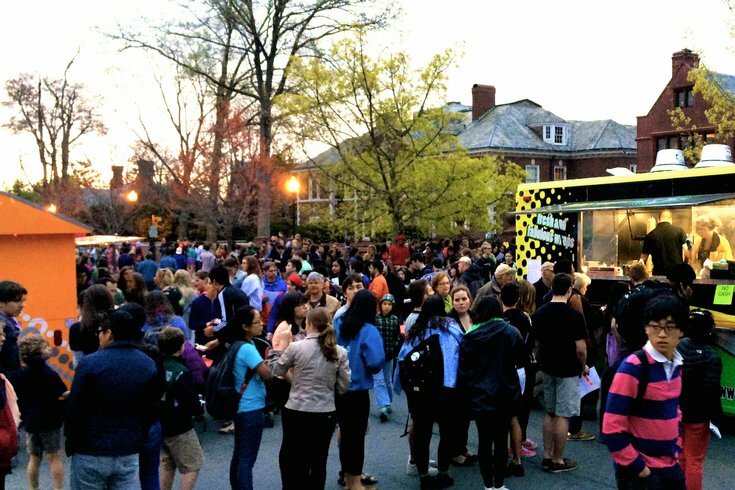 Local foodies can head out to New Jersey to get their food truck fix this weekend. This year's Princeton TruckFest returns Saturday, April 25 with 11 mobile vendors and live entertainment. Held on Prospect Avenue between Washington Road and Roper Lane, TruckFest is free and open to the public with all food sales benefiting organizations that fight food insecurity in New Jersey. Patrons can purchase food using $2 tickets they buy at Robertson Hall on the day of the event. Tickets can be used for food and to enter raffles at the event. Undrgrnd Donuts, The Feed Truck, The Taco Truck, BrazBQ, Tico's Eatery and Juice Bar, The Dapper Dog, Pura Vida, Mausam Curry N Bites, El Lechon de Negron, Nina's Waffles and Ice Cream and Pompier Catering will all be on hand. Proceeds benefit Send Hunger Packing, which provides school children with healthy weekend meals, and Meals on Wheels Trenton/Ewing, which brings meals to homebound locals. Dance groups Black Arts Company, Sympoh and BodyHype will perform, as will musical act The Benchwarmers and the Princeton Magicians' Club. Prospect Ave. between Washington Rd. and Roper Ln.